It's been a long time since I have seen Eva Green on the red carpet but the actress returned for the Bvlgari dinner & party yesterday evening(June 28th) at Stadio dei Marmi in Rome, Italy. 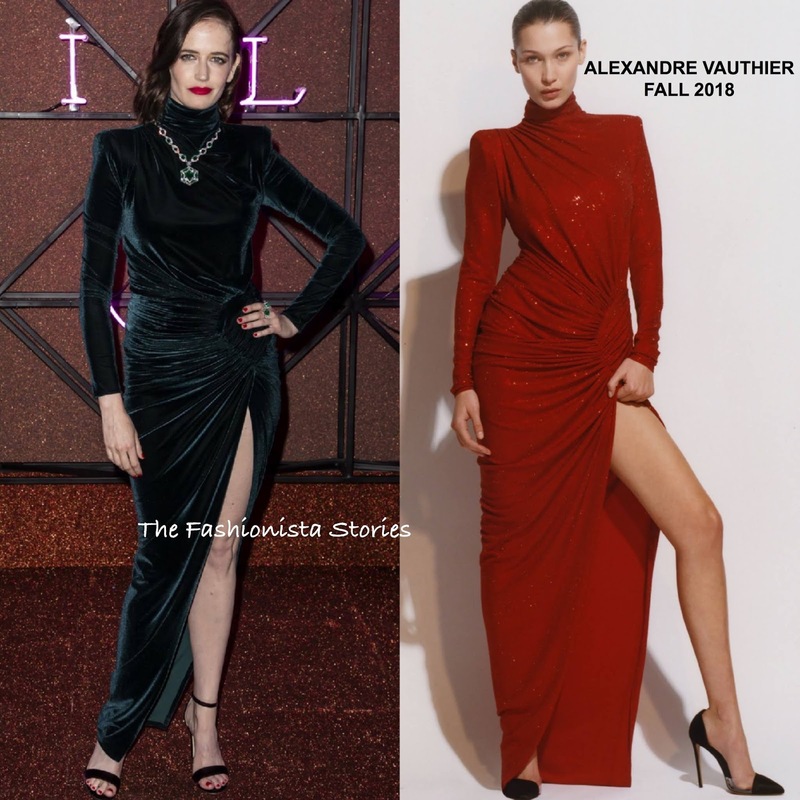 While it's been a bit warm in Italy, Eva still chose to wear this ALEXANDRE VAUTHIER FALL 2018 long sleeve velvet turtleneck dress with padded shoulders and a ruched, asymmetrical split. She should have gone with the look book version and save the velvet option for fall. Accessorized with BVLGARI jewelry, she finished up with a red lip. Which version of the dress are you sold on Eva's or the look book?